Arkady Shilkloper was born in 1956, in Moscow, Russia. He began to study playing alto horn at the age of six and switched to French horn in 1967. At the age of eleven, he entered the Moscow Military Music School. 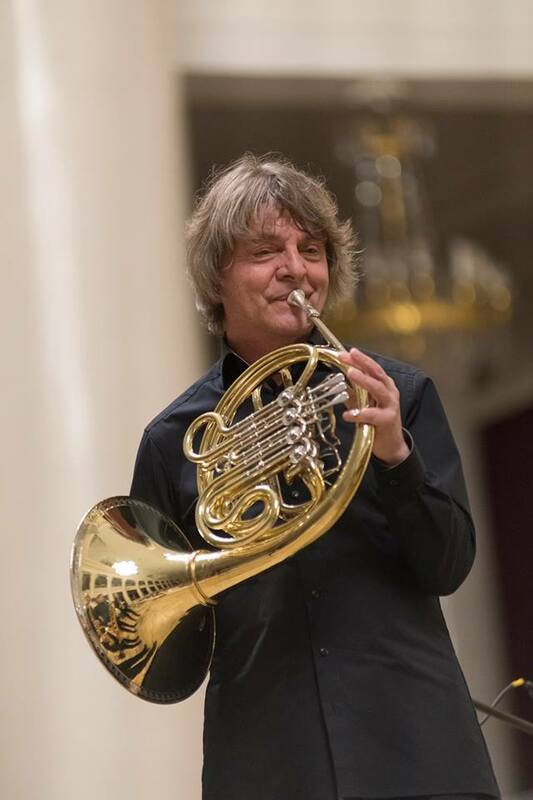 One of the most unusual Russian musicians, Arkady plays French horn, flugelhorn, alphorn and many more wind instruments that are unusual. From 1978 to 1985 he was a member of the orchestra of the Bolshoi Theatre. With this world-famous orchestra and as a member of the Moscow Philharmonic Orchestra from 1985 to 1989, he undertook numerous worldwide concert tours. Shilkloper played with Lionel Hampton, Elvin Jones, Lew Soloff, and Herb Ellis. He also has worked with Pierre Favre, Louis Sclavis, Rabih Abou-Khalil, Jon Christensen, and Bob Stewart. Since 1997, Arkady is part of two Russian trios: one with St. Petersburg’s best jazzmen– acoustic bassist Vladimir Volkov and piano player Andrei Kondakov, and the other with Vladimir Volkov and Sergei Starostin. In 2000, Arkady put together the Mauve Trio with Brazilian guitar player Alegre Correa and Austrian bassist Georg Breinschmid. Their debut album ‘Mauve’ (Quinton, 2002) was awarded the prestigious Hans Koller Prize of Austria as the ‘CD Of The Year’. Arkady Shilkloper gives concerts and master-classes around the world (approx. 100 a year) in Russia, Europe, USA, Canada, Japan, Panama, China, Korea, and Australia.